UPDATE: These now have an airbrushed background for more pizazz! Many of you have asked for custom magnets that are too specific for our generic-styles-only marketing plan. This universal item solves that problem. It’s a blank T-Shirt, and, like its full-sized cloth counterpart, it has lots of room for just about any name-drop, saying, or sentiment. This is your chance to, “Say it like it is!” But remember, the laser-mark is always brown. 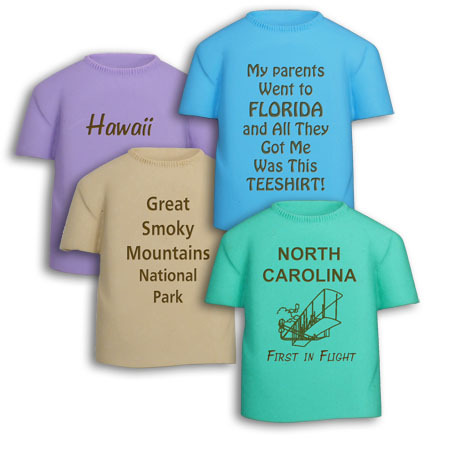 Oh, and unlike a cloth teeshirt, ours won’t fade, tear, or get lost in the dryer.